Operator Training Simulator Market solution is designed to train operators in various industries operating in high-risk environments, for instance, chemical, mining and refining industries. It enables operator-training at a lower time and faster knowledge retention as compared to traditional training techniques. Technological innovations and advancements provide opportunities driving the operator training simulator market growth. Immersive simulators is a rising trend which creates a virtual, interactive 3D atmosphere for the operator. These simulators are gaining prominence in the oil and gas industries for risk mitigation driving the operator training simulator market. Operator Training Simulator Market size drivers include the rising digital generation workforce and government rules regulating operator safety. Operator performance is critical to process safety, reliability and profit. Operator errors can have an extensive negative impact on the safety of the operating equipment and human life, and induce risks and undesirable costs. The continuously retiring workforce that has in-depth knowledge about the operation of manufacturing machineries has led to a loss in worker knowledge and is being replaced by an in-experienced, younger generation. This has triggered the growth of intelligent, virtual training simulators at the workplace driving the operator training simulator market. The economic growth in developing and developed countries has increased the demand for production operations and driven up the demand for skilled labor. Government rules and regulations monitoring operator safety and environment compliancy have necessitated time efficient and durable training technologies. Operator training simulator market allows the prevention of accidents and undesirable outcomes by providing worst case scenarios of real life situations. The manufacturing and maintenance costs of virtual reality based training systems is high owing to the complexity of the simulator production. The labor required for its manufacturing is highly specialized and further increases the input costs. Awareness of the benefits of operator training simulator market is limited and has reduced the adoption of these equipment in the training process of the enterprises. The head and eye movement technology used in these simulators must be finely tuned to respond to real-time operator reactions and requires precision and technological complexity. However, the technology is not advanced enough to match the requirements and can prove to be a factor hindering the growth of the operator training market. The operator training simulator market can be bifurcated based on solution types including 2D, 3D, dynamic high fidelity, generic high fidelity and immersive virtual reality type solutions. Generic simulators are application-specific equipment and are primarily used by train operators for the process industries. Immersive virtual reality type solution segment is predicted to have a high growth owing to its increasing application in medical, oil and gas, police, and defense industries which is expected to drive the operator training simulator market over the future. In March 2017, the Binghamton Police unveiled the Vir-Tra V-180 simulator which uses immersive training technology that includes seventy scenarios to train police officers. The technological solution enables a graphical representation of the operator to interact in a virtual reality based environment with the aid of head mounted displays to monitor head and eye movements. Operator training simulator market can be segmented based on applications which comprise chemicals, oil & gas, nuclear, mining, pulp and paper, refining, metal and mining, automotive, marine, defense, medical and biotech, food and beverage, and other industries. The market is anticipated to experience high growth in mining, oil and gas, and nuclear application segment. Risk mitigation is a primary factor contributing to growth in the oil and gas industry. The elevated risk and potentially harmful environment of these industries requires skill and precision. Small errors can have fatal consequences and adoption of operator training simulator market technologies in process plants can train the staff in process and control management in disruption handling. The U.S operator training simulator market is estimated to lead the industry owing to the technological advancements in the development of simulators. Stringent government rules and regulations monitoring operator safety will further streamline the industry growth. The Asia Pacific region will experience huge adoption of operator training simulator market attributing to the rising awareness of the benefits and the fast-growing population base in developing economies, for instance China and India. Players in the global operator training simulator market need to continuously employ business strategies such as product development and innovations, collaborations, mergers and acquisitions to obtain competitive advantage and sustain their position. Companies providing this solution include Honeywell International Inc, TRAX, Bayer AG, DuPont, EON Reality Inc., AVEVA, AspenTech, GSE Systems, Hyperion Solutions Corporation, ABB Group, Siemens, Tecnatom, FLSmidth, Mynah Technologies, Andritz Automation, DNV-GL and Research Solutions Inc. In May 2015, ExxonMobil Research Qatar announced a global commercial license to EON Reality Inc. for the immersive 3D operator training simulator market technology. The process simulator used real plant operating conditions to create training situations for critical procedure execution and emergency response. 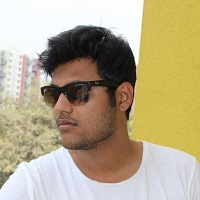 A graduate in Electronics Engineering, Ronak writes for AlgosOnline and carries a rich experience in digital marketing, exploring how the online world works from a technical and marketing perspective. His other areas of interest include reading, music, and sport.